If you have been considering a photo booth for your event, you have found the right place. We offer high quality photo booths with the best equipment, software, and technicians at an affordable price. Our templates are fully customizable to your event colors or theme, as well as personalizing it by incorporating your photo or company logo on it. 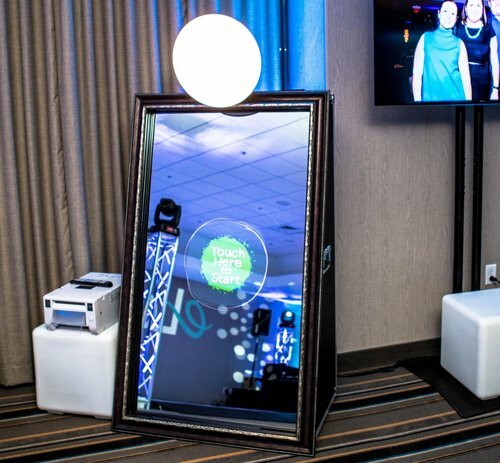 The photo booth will be one of the most popular activities at your event, as your friends & family laugh at their pictures, and create a unique experience that they will have to cherish and treasure forever. Setup, take down, and operation is all taken care of at no additional cost by one of our friendly technicians. All the pictures and prints are available on our web-site for download as well as an amazing photo montage of all the best pictures. (printing option available) Click the images above to learn more about each option or call us today to reserve your booth. You'll love it!